Kofi Annan’s quote encapsulates the healing, unifying spirit of the UN peacekeeping project, which celebrated its 70th anniversary this year. A dynamic force for global good, today the UN peacekeeping force brings 120 nations and over 100,000 military, police and civilian personnel together in support of conflict resolution and lasting peace. This figure includes the nearly 700 British troops currently wearing the peacekeepers’ blue beret in South Sudan, Cyprus, Somalia, the Democratic Republic of Congo, Mali and Libya. Here we take a closer look at how UK serving personnel are collaborating with forces in Somalia and South Sudan to protect communities from violence, warfare and terror. In Somalia the British Army are deployed on Operation TANGHAM, helping to coordinate mentoring and advisory programmes in Mogadishu, as well as directly training the Somali National Army in Baidoa. For the Somalia Army this mission represents a vital step on the road to re-establishing itself as a professional military. 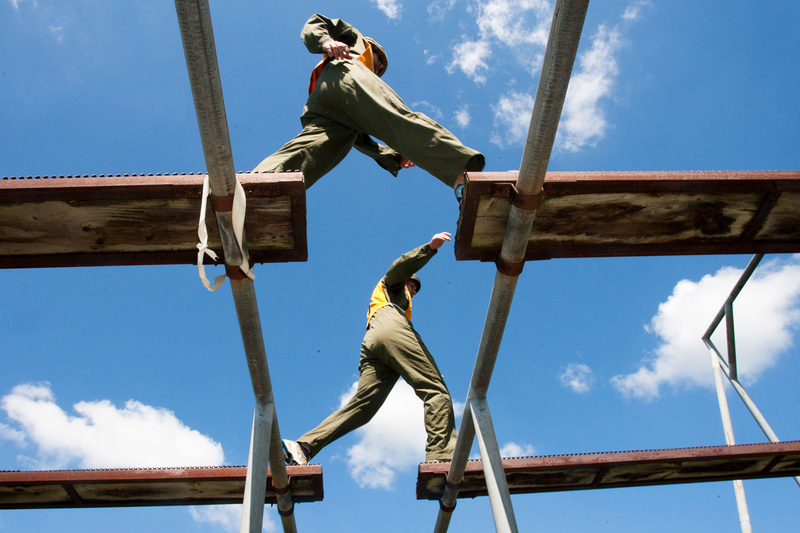 As such, the British approach here differs from other training missions around the world. Not only are serving personnel transferring their skills, they are also helping to establish infrastructure and providing small stipends. 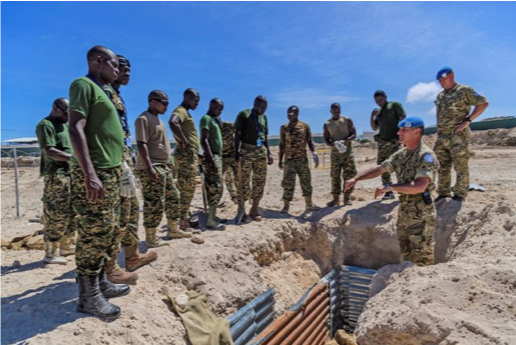 This wider, more encompassing level of support has been designed to help keep the Somali army functioning as it tries to rebuild. As larger numbers of troops are trained here it’s expected that more British soldiers will be deployed to Baidoa. 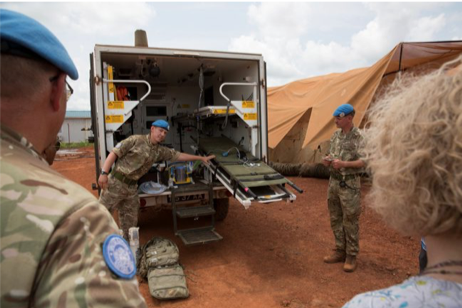 This month also marks the UK’s first anniversary of the deployment of engineers and medics to the UN Mission in South Sudan. This is Britain’s largest contribution to UN peacekeeping and one of its largest operational deployments across the world, with 361 troops currently based there. Primarily split between the regions of Malakal and Bentiu, the Royal Engineers are undertaking specialist projects such as the construction of a jetty on the River Nile, helicopter landing sites and other infrastructure improvements. 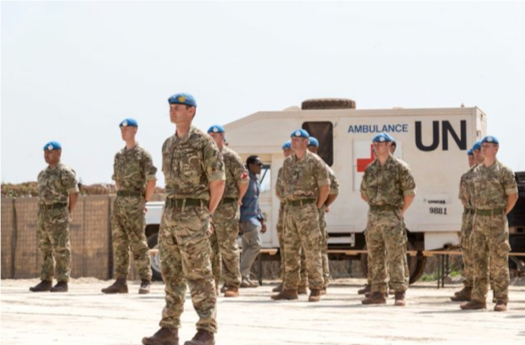 The Royal Engineers have already supported on the construction of a temporary field hospital in Bentiu. Inaugurated last year, the permanent hospital facility is supporting over 1,800 UN peacekeepers and staff, and is operated by medical personnel drawn from all three services. 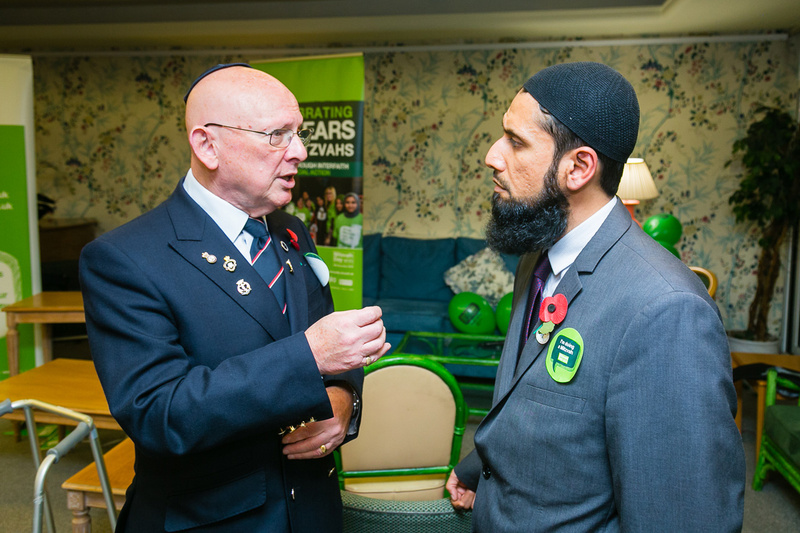 The Armed Forces Muslim Association are incredibly proud of the work being carried out by British troops in the name of UN peacekeeping. 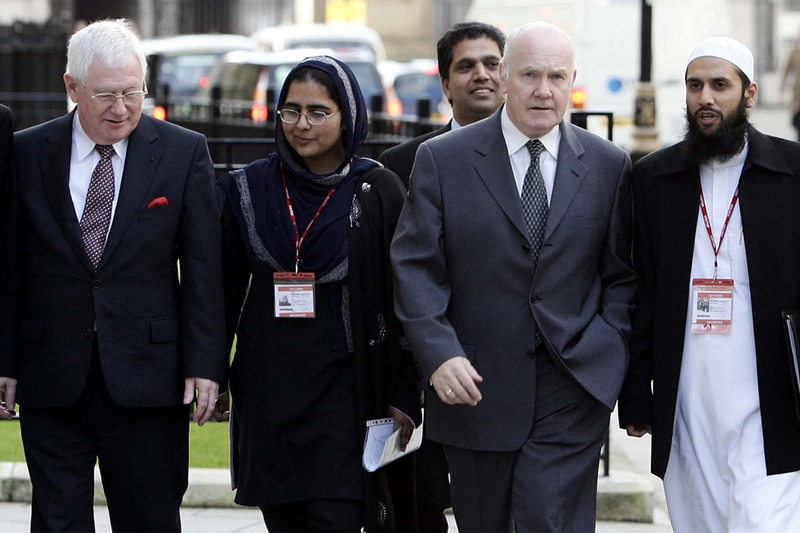 Not only are they contributing to global stability, thereby keeping Britain safe and secure; they are a powerful force of hope and peace for some of the world’s most vulnerable communities.